Each “Try Now” edition highlights a new instant app built for a top developer. Catch up on the rest here. Kongregate is a leading mobile & PC game developer, publisher, web gaming portal, and creator of Kartridge, a new downloadable PC gaming platform. The company has been a partner of AppOnboard Platform for several years across various initiatives, so when it needed help creating its Google Play Instant apps, it was natural to turn to AppOnboard Studio. Kongregate was excited about the Google Play Instant program because it gives consumers a way to preview app gameplay and experience/learn how to play the game before the download. The goal of the “Try Now” feature was to stay on top of Google Play Store changes and leverage the new channel to drive new, qualified users to their portfolio of games. Since launching the latest version of its instant app, Kongregate has experienced instant app starts in the 80th percentile of all instant apps (powered by AppOnboard). 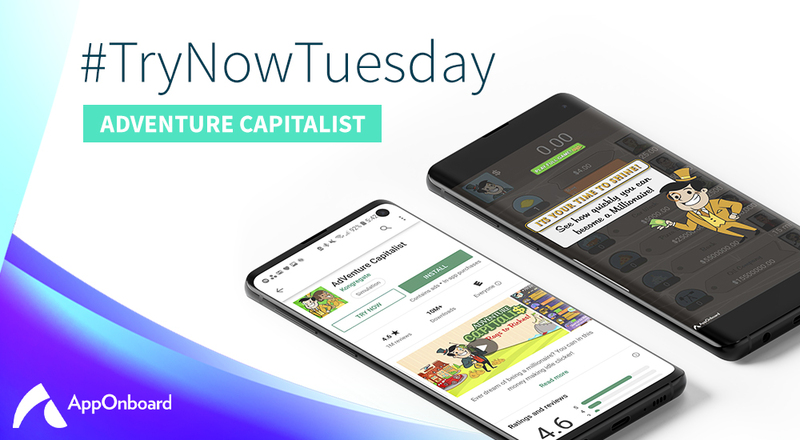 In addition to the pure amount of users trying Adventure Capitalist before installing, the users are also tapping to install at a rate 30% higher than the average for instant apps. To sign up for the AppOnboard Studio Early Access Program, click here.